Cernor XO Emulsion Gel is a unique combination of Vitamin K Oxide and light reflecting minerals to improve the look of dark circles. Cernor Coverstick is a highly effective moisture rich concealer specifically designed to camouflage discoloration and dark circles under the eyes. 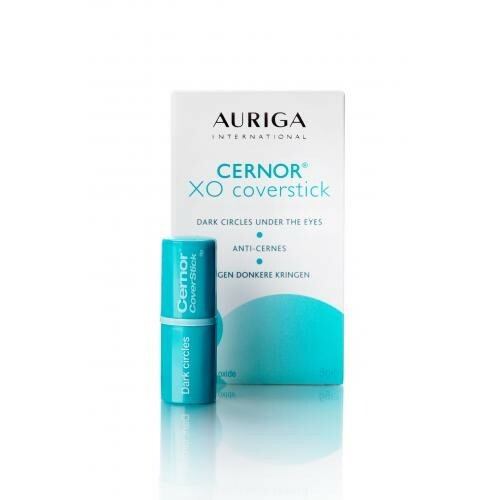 Expertly formulated with Vitamin K Oxide and carefully selected light reflecting and tinting agents, Cernor Coverstick is an easy to apply, long lasting coverstick that provides optimum results and can enhance your natural skin or make-up tone. Cernor XO and Cernor Coverstick are only available to aesthetic professionals and their patients/clients. Anti-inflammatory control – It can help reduce the flushing and inflammation caused by rosacea, as well the redness and swelling produced by some skin procedures, helping your stressed skin to recover without impacting on the positive results of the treatment. Anti-oxidant protection – Recovering and stressed skin can experience increased levels of reactive oxygen species (ROS) that can cause harm to skin cells. Control Tactics™ uses a combination of anti-oxidants; Coenzyme Q10, Vitamin C and E, along with raspberry, chamomile flower and green tea extracts to control and reduce the damaging effects of ROS. Recovery & hydration – To help accelerate skin recovery Control Tactics™ is formulated with Oat Beta-Glucan to help accelerate the healing process. As compromised skin may experience increased water loss, Hydrolized Algin, Hyaluronic acid, Glycerin, Allantoin and Olus Oil all help to keep it hydrated and encourage moisture retention in your skin.